When Sony entered the handheld console arena in 2005 with PlayStation Portable, it borrowed a page from the playbook of the acknowledged handheld champ, Nintendo, and debuted with a puzzle game. While the original Game Boy included Tetris with each unit sold, it was up to PSP’s early adopters to add Tetsuya Mizuguchi’s Lumines (pronounced like “luminous”) to their libraries. Fortunately, enough people did indeed adopt the game that Mizuguchi’s new endeavor, Enhance Games, saw fit to work with Resonair Games on a remastered version for Xbox One, simply titled Lumines Remastered. As with all good puzzle games, Lumines Remastered is simple, yet still elegant. Players are given blocks made up of four pieces, which can be one of two colors. The object is to place the block on the playfield such that squares of the same color are formed. These squares are removed with each pass of a Time Line that passes left to right with the rhythm of the musical track. 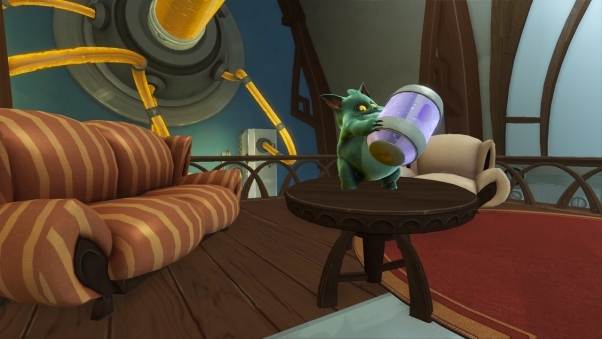 As players advance, the musical track changes, which also changes the game’s background, the appearance of the game pieces and even the pace of the Time Line. 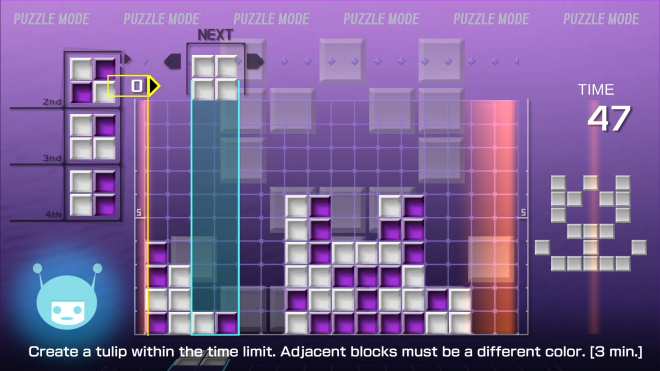 Back to the future — Lumines’ appearance is just as familiar and out there as it was on the PSP. The graphics are sharper but otherwise unchanged from the original release. Likewise, the game’s musical tracks are the same as those used previously, featuring a mix of styles of electronica that makes it remarkably easy to zone out and focus on making matches. Controls are simple and spot-on and should be familiar to most puzzle gamers. Play it your way — Some new modes have joined the originals, such as the ability to play the standard game using a mix of skins (the in-game term for the backgrounds and paired musical tracks) designed by the player. Other returning options include a puzzle mode, where players are tasked with forming specific shapes within a given time limit. There is also time attack, which counts the number of pieces removed within the amount of time chosen. And finally, there is a multiplayer mode that splits the board in half, with the round ending when the blocks reach the top of the playfield on one side. Players can compete against the computer or against a human opponent either on the same Xbox side-by-side or over Xbox Live. Don’t give up — One gripe I have with many puzzle games is that if you blunder, it can take some time to fix that mistake, especially deep into the game when the pace is much faster. Fortunately, Lumines’ system is far more friendly and adaptable. Unlike Tetris, you won’t have holes as pieces collapse together and fill gaps. This would make it more like both Puyo Puyo and Puzzle Fighter, but both of those have multiple colors. You still have to think fast at times, but between more chances to form squares and the wonderful cross-block that appears from time to time (which matches every connected piece of the same color, with all being removed as the Time Line passes), you’ll get a chance to catch your breath a bit more often. Still a remaster — The problem with the remaster era is that frequently the game is just that – the original game with improved graphics and nothing more. As noted before, there are some new modes that have been borrowed from subsequent releases in the franchise, but no new music or skins appear to be available. So if you played it back in 2005… welcome back. You’ll find things just the way you left them, for the most part. While it sounds like I’m contradicting myself, let me explain it this way. It may ultimately be a re-release, and what is here is still good, but new content would have made it better. Too slow to ramp? — Block-dropping puzzle games can sometimes speed up too quickly, meaning you have to be exceptionally talented to advance. Lumines Remastered takes an alternate course, where the early moments are practically tedious before the game starts to pick up. When it does pick up, it’s not necessarily in speed. Pieces will indeed start dropping faster, but the pace of the Time Line can also change, going from speedy to snail’s pace from one skin to the next. There really is a logic to it all, as the Time Line’s speed is derived from the rhythm of the skin (not its beats), but it does make the progression in difficulty appear uneven. I haven’t played my day-one PlayStation Portable in years, but to this day I admire it for what it was trying to do. The original Lumines was a launch-window purchase for me, and the remastered version helped remind me of it rather fondly. 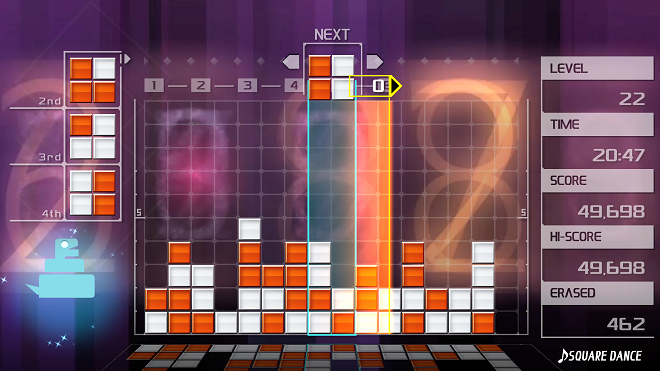 Some truly new content would have been nice, but even with that in mind, Lumines Remastered is still a great pickup for those who enjoy the block-drop sub-genre of puzzle games. So take this chance to play it again, or play it for the first time. Either way, it’s a groovy way to puzzle through the day. 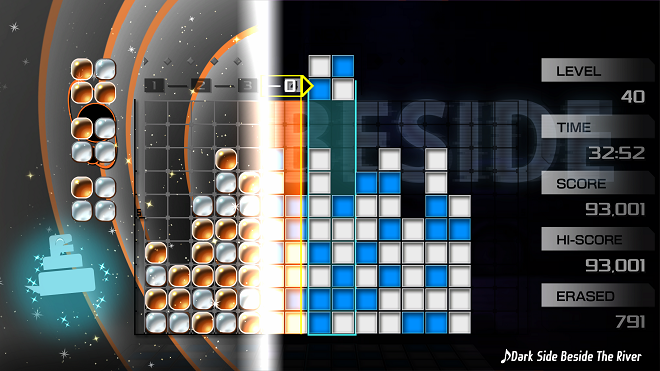 Lumines Remastered was developed by Resonair Games and published by Enhance Games. It was released on June 26, 2018 for $14.99. A copy was provided by the publisher for review purposes.